When you’re looking for one of the best auto transport carriers in Florida, there are a number of things you need to do to make sure you’re getting the best and most affordable service. 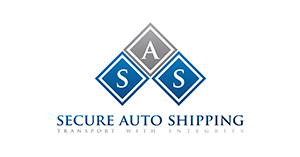 Keep reading for advice on choosing the best auto transport carriers in Florida. You should firstly know the type of service you’re looking for before requesting quotes from auto transport carriers in Florida. Your time frame, budget and whether you want open or closed transport, terminal to terminal or door to door service determine which of the Florida auto transport carriers can meet your needs. When you’re researching Florida auto transport carriers you should check whether they offer liability and cargo insurance coverage. The best Florida auto transport carriers won’t hesitate to provide you with their insurance documentation after you book with them. It’s important to remember that when looking for the best Florida auto transport carriers, reading fine print is always a good idea where money and property are concerned. All Florida auto transport carriers are required to be registered with the Department of Transportation. You should confirm this and check that the Florida auto transport carriers you’re considering have valid USDOT and MC numbers. Licensing and quality are guaranteed with the best Florida auto transport carriers. Of course, one of the best indication that you’re looking into the most reliable auto transport carriers in Florida are customer reviews. You’ll get valuable information about the Florida auto transport carriers you’re considering from people who have paid for and received quality service. There are several places on the internet to find authentic reviews about these companies such as Transport Reviews and the Better Business Bureau . Another easy way to check out a company is their Social Media Pages. Communication through this channel is highly transparent and it should be easy to see if your dealing with a fly by night or a professional trucking outfit. for additional info and links were to find the best auto transport company reviews click here.